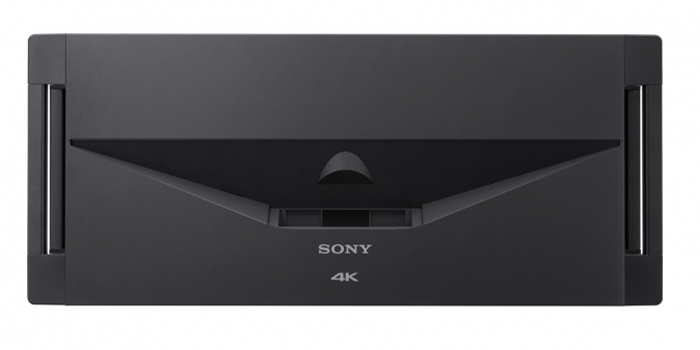 The VPL-GTZ1’s imaging technology combines Sony’s proven 4K SXRD™ with a laser phosphor light source. The result is 2,000 lumens colour brightness and superb picture quality. The projector can throw high-resolution images up to approximately 147-inches (3.7m) diagonal and zoom down to 66-inches (1.7m)*, achieved by respective 6.7-inch and zero inch (170mm ~ zero) distance** from screen, across onto any white plane surface. The ultra-short throw will allow you to stand closer to the screen which will be beneficial for presentation application and also, being able to check details of the 4K image at closer distance without shading off the image. 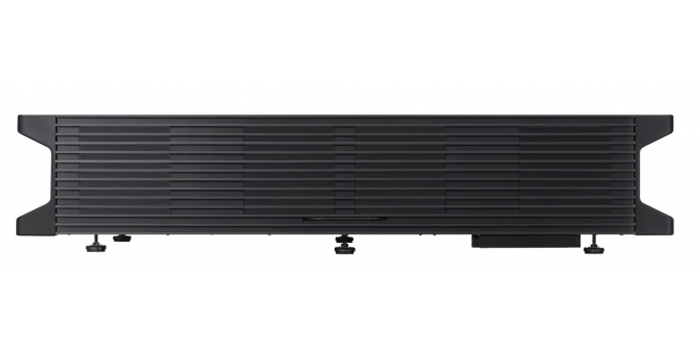 Its stylish, ‘blend-in’ design fits nearly any installation environment, and a low fan noise ensures quiet operation that won’t disrupt user’s experience. The projector’s flexible installation and operation allows it to be floor-standing, ceiling-mounted or used for rear projection. Users can blend*** multiple projectors and a quick turn on/off feature is convenient for a wide range of applications. 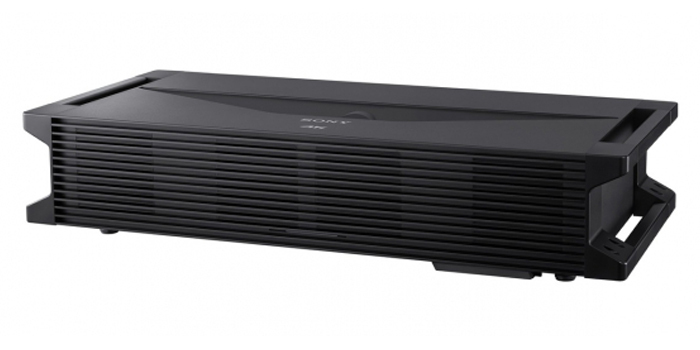 Like Sony’s other laser light source projectors, the VPL-GTZ1 can deliver an expected 20,000 hours of maintenance-free operation without the need for a lamp exchange. This translates to substantial savings in time and money, reducing the costs normally associated with bulb replacement. The VPL-GTZ1 Professional 4K SXRD™ Projector offers native 4096 x 2160 resolution, which is more than four times the resolution of Full HD. The projector’s newest generation 0.74” 4K SXRD panels have been developed utilising cumulative expertise delivering 4K display products to visualisation, simulation, and the digital cinema market. Add more detail, impact and realism with high 2,000 lumens brightness, ideal for a range of B2B and commercial applications, including museums, design simulation, signage, oil and gas, simulation and training, corporate, and video wall applications. * Actual hours may vary depending on usage. The projector’s flexible installation and operation allows it to be floor-standing, ceiling-mounted or used for rear projection. The low fan noise ensures quiet operation. The VPL-GTZ1 combines the 4K SXRD display technology with a highly efficient laser phosphor light source. This unique combination delivers exceptionally bright, pictures with excellent colour accuracy and stability, plus high efficiency and significantly greater durability for reduced total cost of ownership. The projector can throw high-resolution images up to approximately 147-inches (3.7m) diagonal and zoom down to 66-inches (1.7m)*, achieved by respective 6.7-inch and zero inch (170mm ~ zero) distance** from screen, across onto any white plane surface. 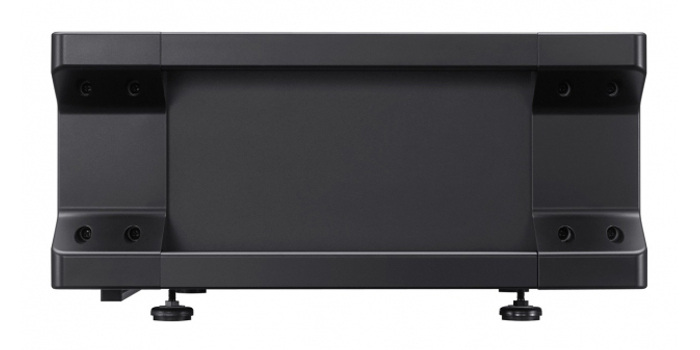 The ultra-short throw allows you to stand closer to the screen, ideal for presentation applications and to be able to check details of the 4K image at closer distance without shading off the image. Seamlessly join accurately from multiple projectors, simplifying creation of stunning super-size displays for retail, corporate and live event applications (using 3rd party edge blending solution). The projector offers 2K 3D with resolution up to 1920 x 1080. Optional accessories include TDG-BT500A 3D glasses (not included). 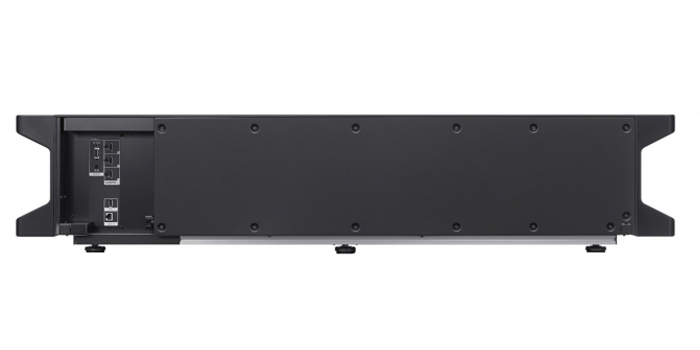 The projector has 4 x HDMI (4K 60p YCbCr 4:2:0 support) inputs.